There some some fantastic bridge photographs posted on this forum, especially those from foreign countries and of course the Golden Gate Bridge. Living in Houston, photogenic bridges are scarce. 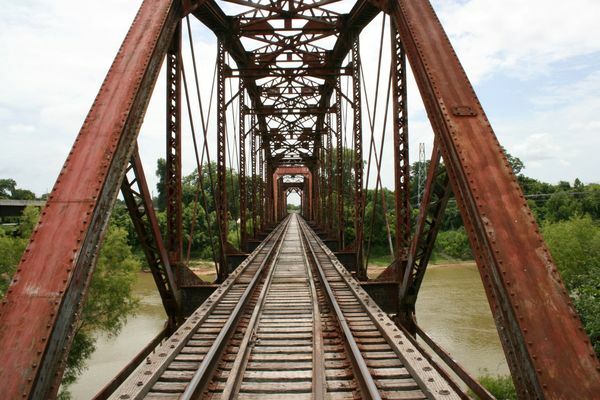 Nevertheless, here's my attempt at railroad bridge photography: One was taken off I-10 between Houston and Columbus, Texas and the other was taken near the town of Hempstead, Texas. That second one I particularly like! I like the angle on 2 Jason. I have been to both and probably shouldn't admit it, but in my glorious youth as a freshman at college, some friends and I walked across the Hempstead bridge. Said friends were my freshman roommates at college and were from Hempstead and Waller. Very nice work, especially #2! The #2 bridge crosses the muddy Brazos river, which is on it's way to the Gulf of Mexico. The bridge in the top photo runs parallel to Old Houston Highway and crosses Clear Creek, which is often not particularly clear. With the amount of structure in the first image, I'm used to seeing it above the tracks. Nice photos. Used to spend a lot of time in January, February and March at the old Columbus Race Course running horses in the 1970s. A fun place in those days. Makes me want to dig through some of my old photos from that time. Nice--I really like the second one. 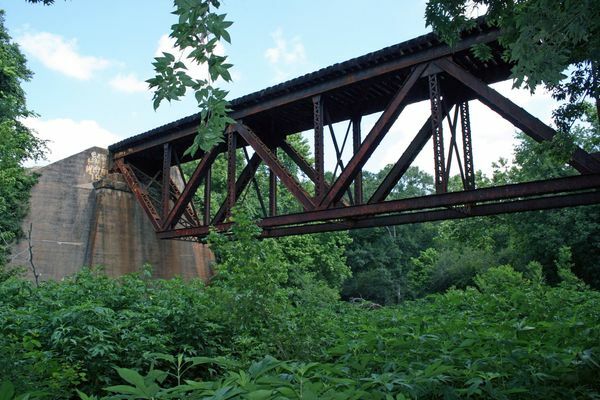 I love railroads and railroad bridges. Great pictures. I am a structural engineer and find these pictures fascinating. Both are well done photos. I see most prefer #2, but the composition of #1 is really appealing to me.